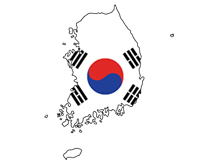 South Korea Fibre Report 2015, Polyester Staple Fibre Demand, Polyester Filament Yarn Demand. Consumption wise, South Korea consumed 1.82 million tons of fibre/filaments including cotton in 2014 ranking fourth largest in PSF consumption, fifth in polyester filament consumer and sixth in nylon. Manmade fibre/filament production in South Korea declined 2.4% in 2014 with all major fibre type recording downturn. 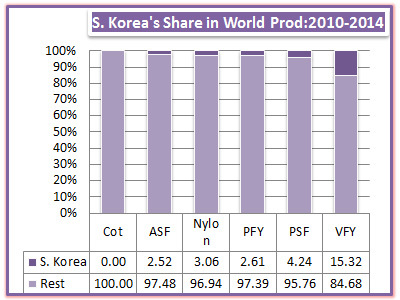 In 2014, South Korea was the second largest exporter of polyester staple fibre only after China and sixth largest in acrylic staple fibre and seventh in nylon.